Contact Jen Sheehan at (865) 531-5226 or email jsheehan@covhlth.com to learn more about how your business or organization can be part of this exciting event. There’s a competitive streak in all of us. Now’s your chance to shine! Join us for the 2019 In It To Win It! Your table will compete in games designed to delight and entertain. Plus, patrons will enjoy a robust buffet provided by Calhoun’s Oak Ridge. All proceeds benefiting the patients and families of The Hospitality Houses of Methodist Medical Center of Oak Ridge. Call (865) 531-5208 for more information. Smart casual attire – be comfortable and have fun! The Hospitality Houses are supported by the Methodist Medical Center Foundation and offer housing free of charge for patients and families who travel out of town to Methodist Medical Center for treatment. So that we may continue this tradition of hospitality, we welcome and rely on the support of our community. Whether it’s with monetary contributions, donations of food or household goods, or through volunteering, you can make a difference to our neighbors, to our community, and to all those seeking shelter in life’s storms. Through your generous support, we can continue to provide a “home away from home” for people facing a medical crisis. 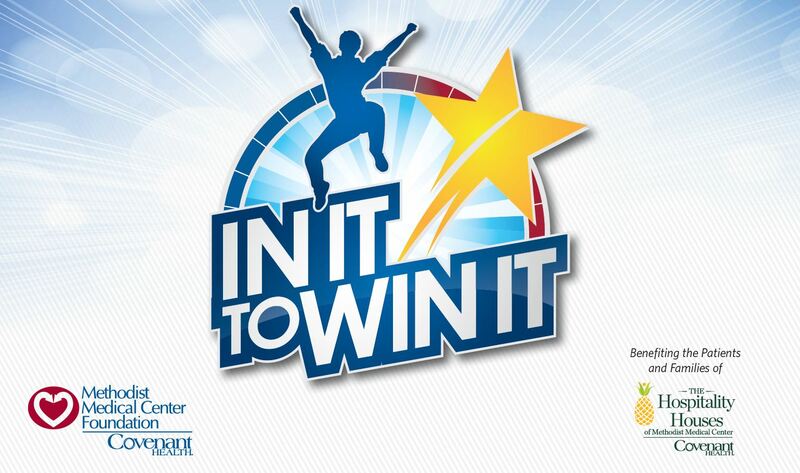 We invite you to support the Hospitality Houses of Methodist Medical Center of Oak Ridge by becoming a sponsor of the 4th annual In It to Win It fundraiser on Saturday, April 27, 2019. Eye Center of Oak Ridge, P.C.